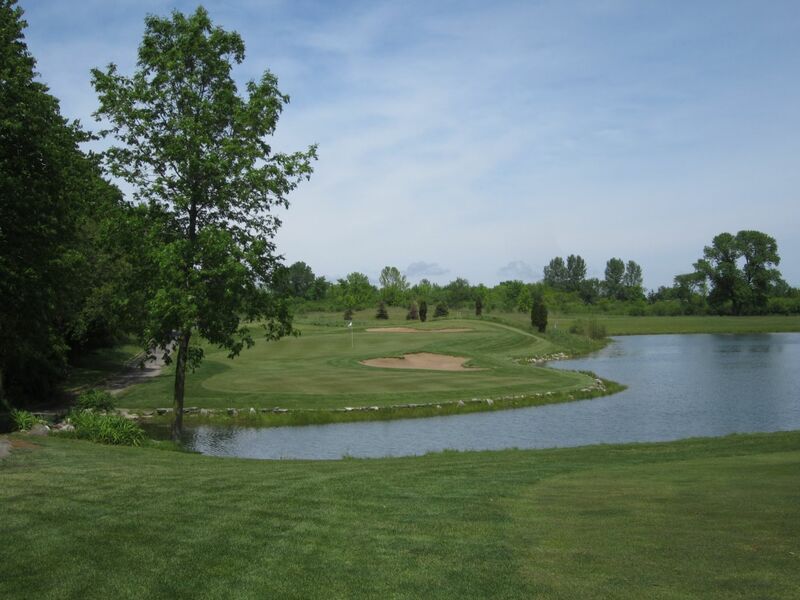 Fire Ridge is one of my favorite golf courses in the Milwaukee area, and is a must-play for anyone who is looking for a decent rate at a high-quality place without traveling more than 30 minutes from the city. The first thing you will notice about Fire Ridge is that it is obviously much closer to Lake Michigan than you would first think. My round there a few weeks ago was actually the first time I’ve ever played the course with sustained winds under 15-20 miles per hour, and it is always at least five to ten degrees cooler than the area I left (usually Menomonee Falls). The wind can play real havoc on the course, which plays pretty tough to start with. 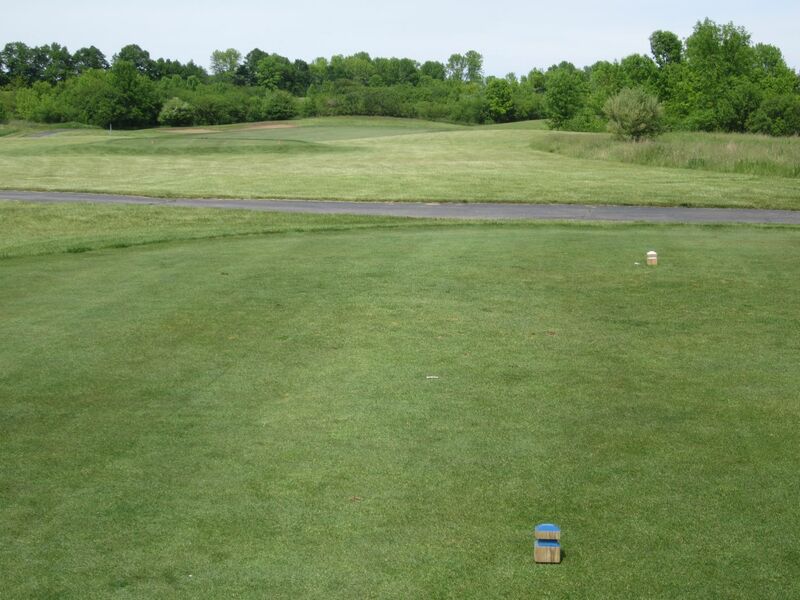 Unless you are a five or lower handicap, don’t even bother with the black tees. Some of them are so ridiculously more difficult that it’s laughable, but if I were a scratch golfer I think I would probably enjoy the challenge. 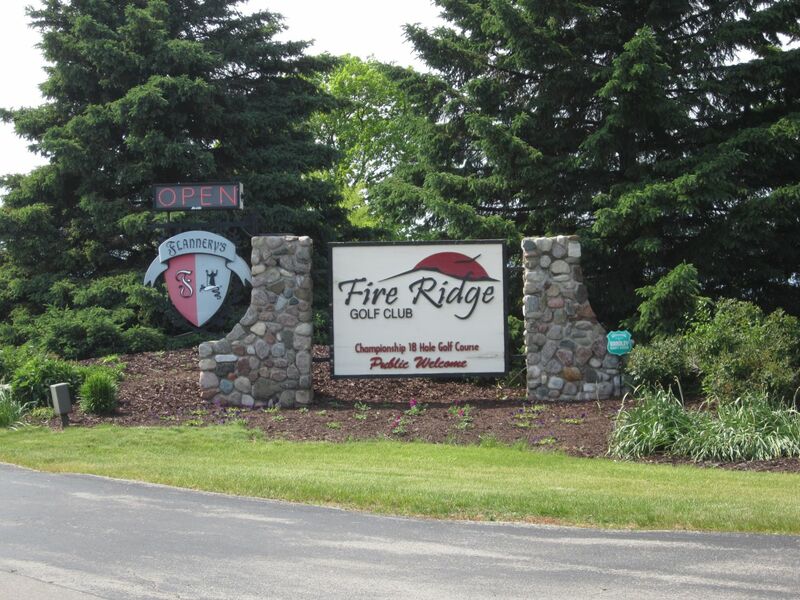 Formerly known as the Country Club of Wisconsin, some consider Fire Ridge in Grafton to be the original premium daily fee golf course in the Milwaukee area. With fields of beautiful fescue and a bevy of changes in the course environment, this is the kind of course that avid golfers will not get tired of playing. Make sure to show up a little early for your round and enjoy a beer at their well-renowned bar and restaurant, Flannery’s. Flannery’s is consistently named the best golf course bar and restaurant in the Milwaukee area, and for good reason. Their fish fry is outstanding, they have a great beer selection, and I have yet to be disappointed by their service or quality of food. The course itself is a lot of fun. 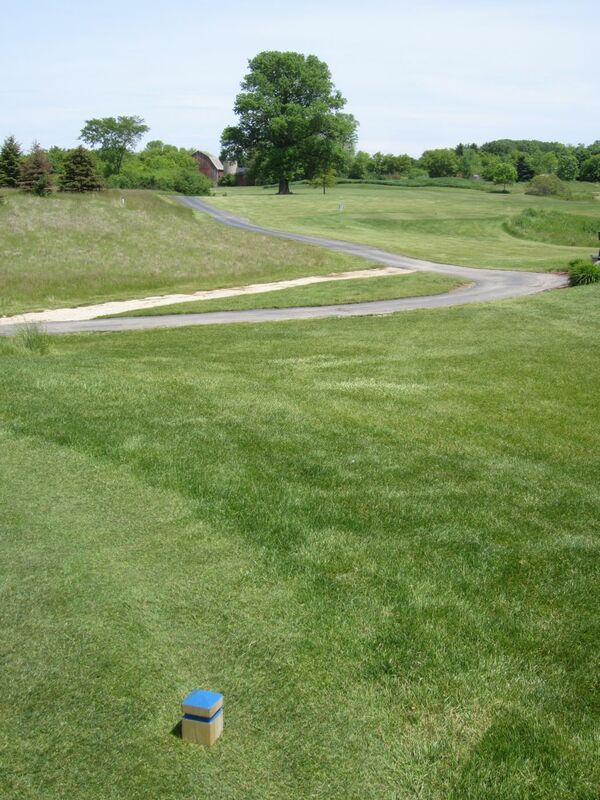 Don’t be discouraged by the blind tee shot to start the round – this is the only real blind shot on the course. 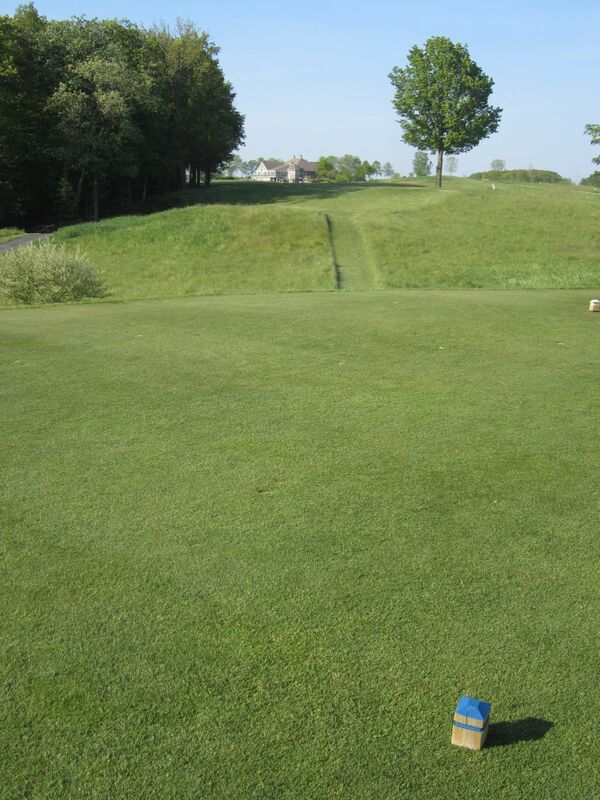 Just keep in mind that the fairway rolls downhill over the mid-way sand trap, and aim directly over it. Anything in the fairway will roll a long way. The course recently acquired new green rollers, and the impact can be felt immediately. The greens here are quicker than they have ever been, and roll very well. They are not quite as quick as Hawk’s Landing, but are certainly fast and challenging. 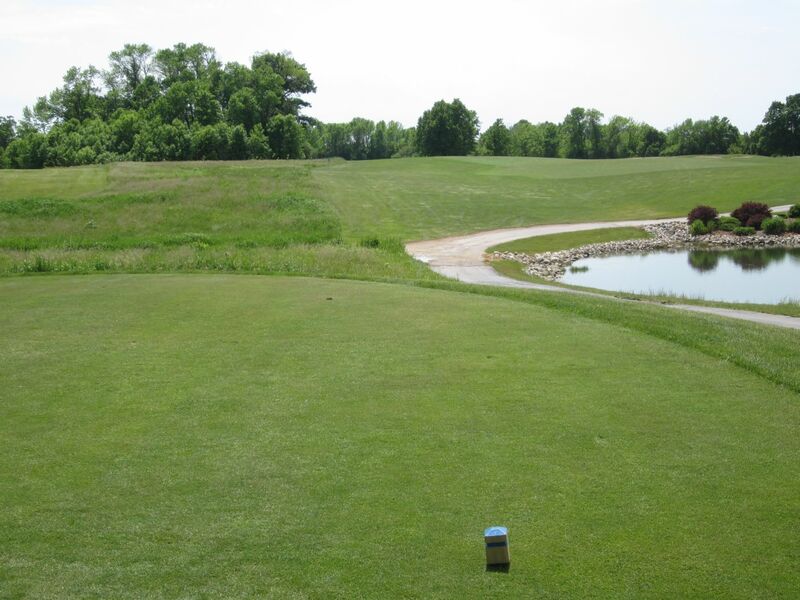 The most challenging of the greens at Fire Ridge is undoubtedly the par four fifth hole. With a restricting tee shot that plays between two ponds, the approach is far uphill and to a green that is no more than ten to 15 yards from front to back. It is wide enough, but anything long is dead, and most shots short will end up in the sand. If that’s not tough enough for you, the pin is typically on the cusp of a huge slant in the middle. This is one of those holes where bogey feels like par, or maybe even birdie. To me, six has the most intimidating tee shot on the entire course. This is admittedly because my driver and three wood both seem to always “fade.” Okay, I’ll admit that it’s a bit of a slice. The fescue area right of the driving area is nearly impossible to find a ball in, and the landing area slants heavily toward it. 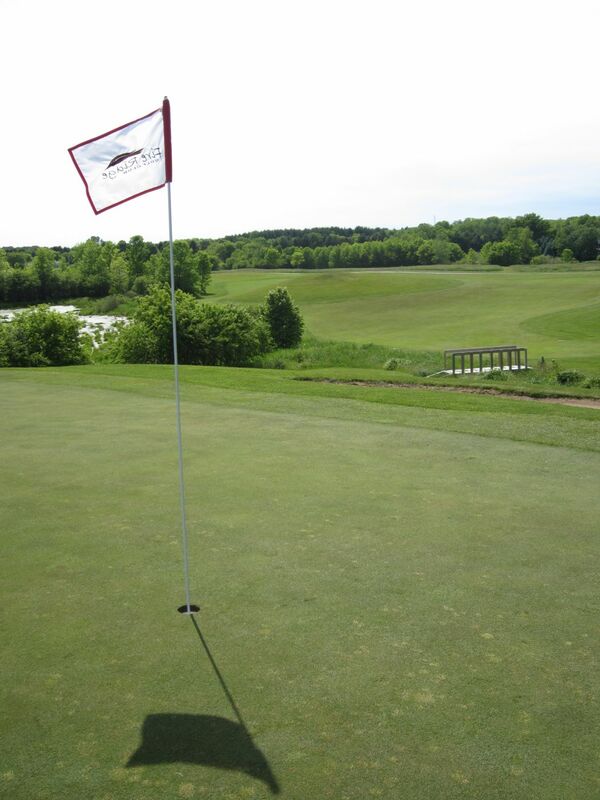 If you stay safe, it’s a pretty elementary hole – simply find the fairway two times, and you’re home free. My favorite of the par threes at Fire Ridge is the eighth hole. From slightly elevated tee boxes, the tee shot plays over a bit of a valley and goes to a wide green that is surrounded by sand and woods. This is a fairly long par three, and plays very well to a fade. One of the highest spots on the front nine, I always enjoy getting to this hole. The ninth hole is one of the most intimidating tee shots on the course, but probably unjustifiably so. Anything slightly right will be fine, and you can wail away as far as you want. 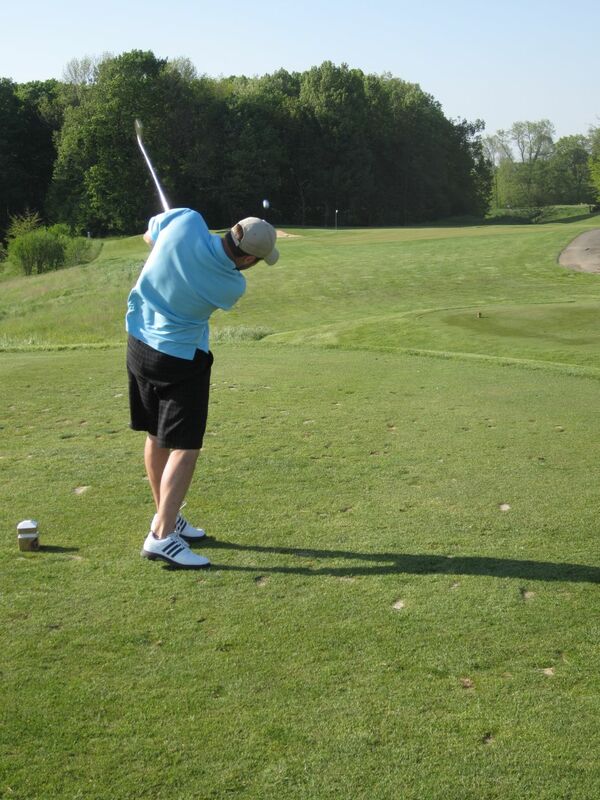 Even shots slightly left will usually end up okay, as long as they don’t catch the woods that frames the driving area. The hole finishes towards the clubhouse and practice greens, and always seems to play shorter than expected. I have ended up in the long sand traps the last couple of times I have played this hole, even though it is one of the largest greens on the front nine. The back nine at Fire Ridge is special, and the tenth hole is one of my favorites on the course. It is actually one of my favorite par fives I have played in the state, in fact. 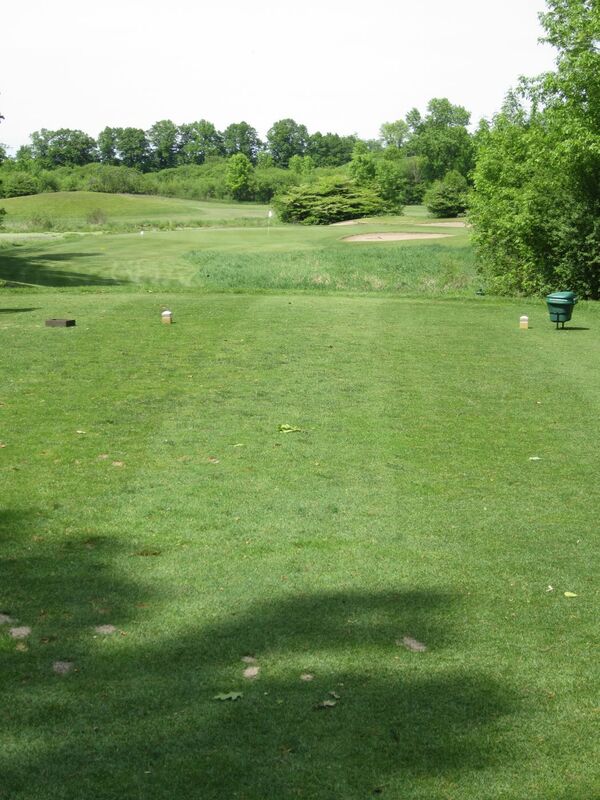 A tee shot that can go as far right as you can slice, the left side is completely out of play with woods. 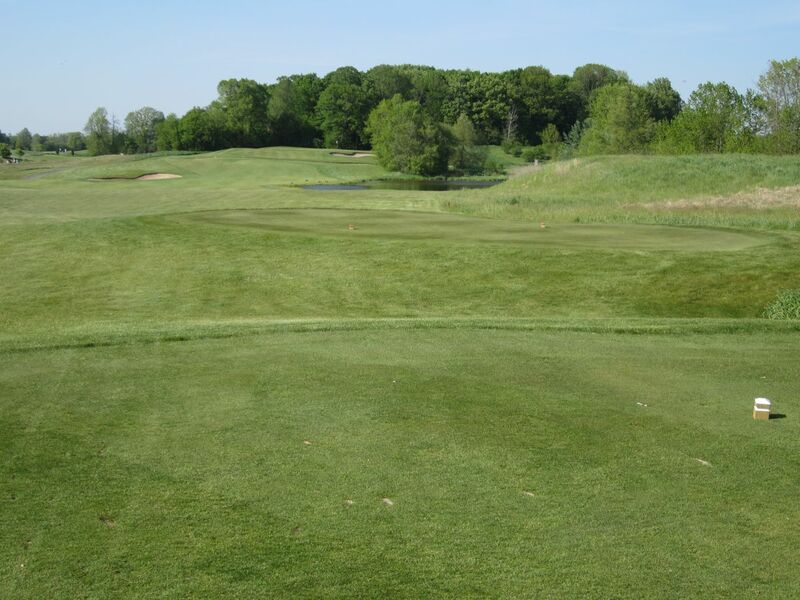 The second shot will always be laid up to the wide pond that fronts the green, which runs a long way from front to back, but leaves awful putts if you find yourself on the wrong side. The eleventh is a tough par three. Highly elevated and long, the eleventh plays to 215 yards from the back tees, or 192 from the blues. It seems to play even longer, though, since the wind inevitably seems to blow toward the tee boxes. Another of my favorite holes on the course is the par four thirteenth. With a sharp dogleg left, the smart play always seems to be a long wood, but not driver. A well-placed tee shot will leave a short iron to the slightly elevated green, which is entirely surrounded by sand on all sides. 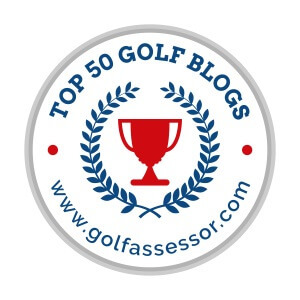 Following the thirteenth is another great par five. The driving area looks forever away from the tee boxes, but is much closer than you think. The last four times I have played this course I have ended up behind the two trees that lie on the long side of the fairway, effectively locking me out from an effective second shot. The green area narrows considerably, and can make for a harrowing approach. Favor the right side of the approach area to run on, or risk the pond that lives left of the green area. This is a gorgeous hole, even though it always seems to be ten to 20 degrees colder than the rest of the course. Seventeen is another beautiful par three that plays much tougher than it looks. 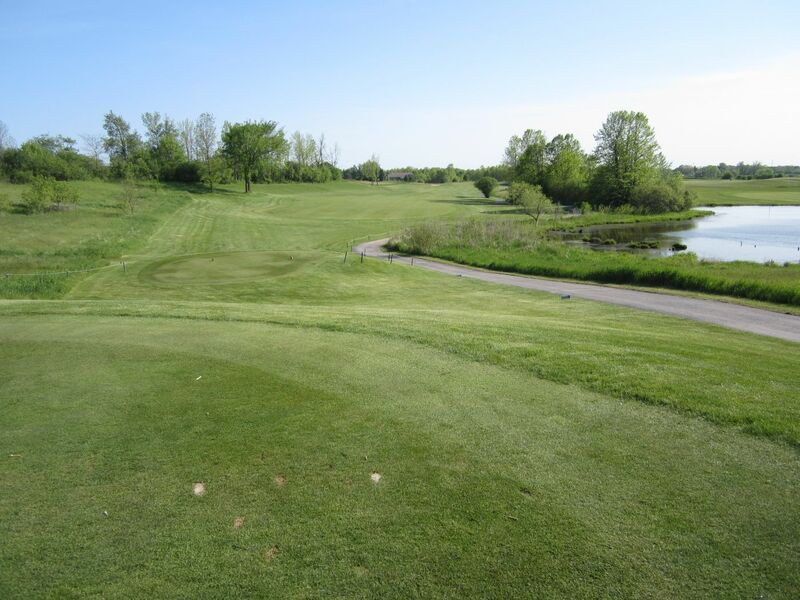 With elevated tee boxes and a pond long, the wind always determines the right club. This becomes difficult when you consider that the entire tee box area is surrounded by trees. 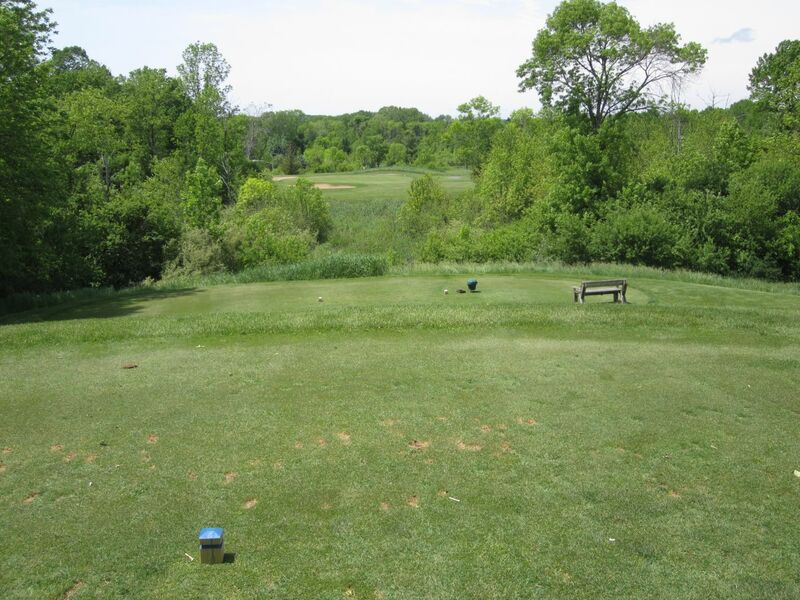 Take a good look at the tree tops for a decent suggestion on how to play this par three. Just don’t be long. Or well short. Some of my friends say that eighteen is one of the worst holes in the state, but I disagree. I think this is an absolutely gorgeous finishing hole, but wow is it tough. A mid-iron is required to hit the fairway, which you can hit as long as 200 yards without getting yourself in too much trouble. A huge mound is centered perfectly in the middle of the driving area, and makes for difficult shots if you find yourself left of it. Either way, the approach to this well-guarded green will be long, and fraught with trouble. Way, way uphill, the green is very difficult to hit in two, and anything hit short is liable to roll down the hill and in to hazards. From the top, this is a beautiful finishing hole. From everything else, this is a cardiac arrest waiting to happen. The good thing is that driver is taken out of play by the shortness of the tee shot, which to me takes out a lot of stress for a final hole drive. Just don’t expect to have a stress-free approach! Altogether, Fire Ridge is an absolute must-play. At $75 for regular season rates, the best way I have found to play this course is to find the “deal of the day” on GolfNow, or else by using the CW18 golf card, which can be purchased for $110 prior to the season and includes nine “regular” area courses, along with Fire Ridge. As long as you take advantage of the free rounds, this is certainly a deal worth taking advantage of. 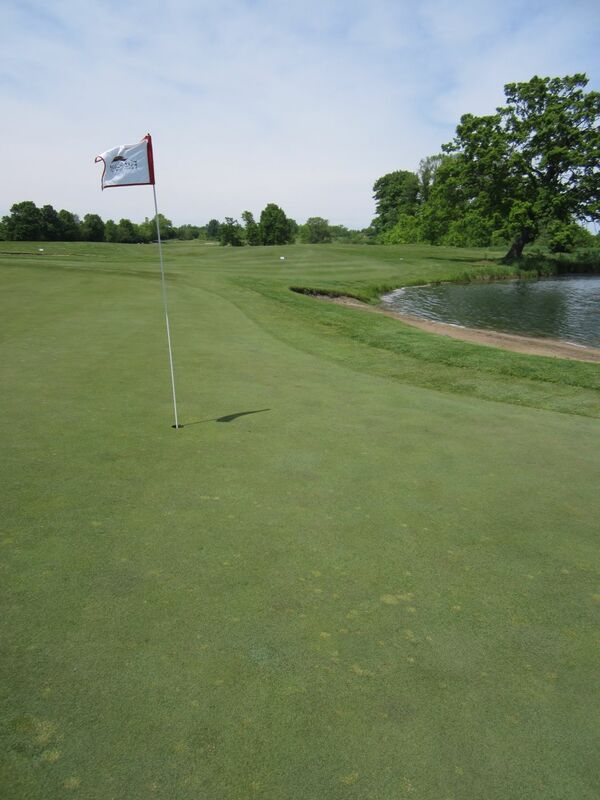 Make sure to arrive early for your round to take advantage of their huge practice green, which rolls exactly the same as the rest of the course. 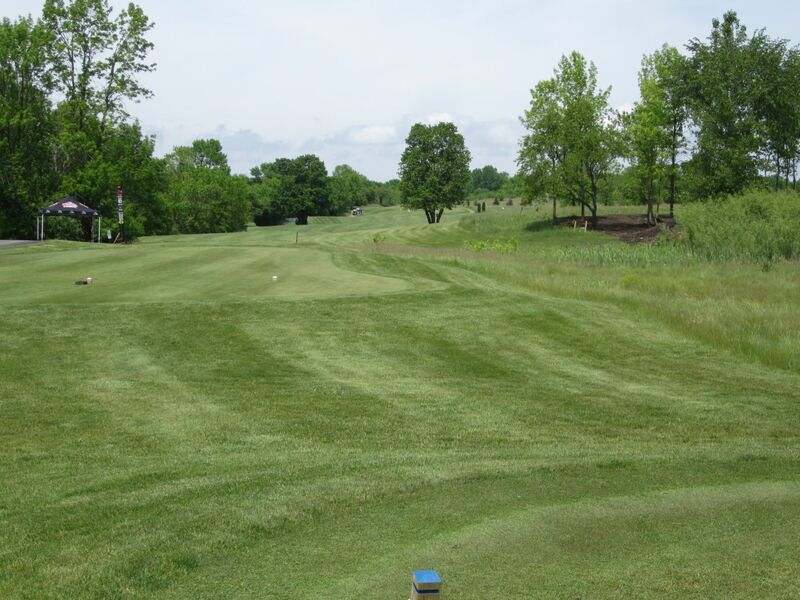 It is quick, and will give you just the right reads you will need to score on this difficult, but fun, golf course. 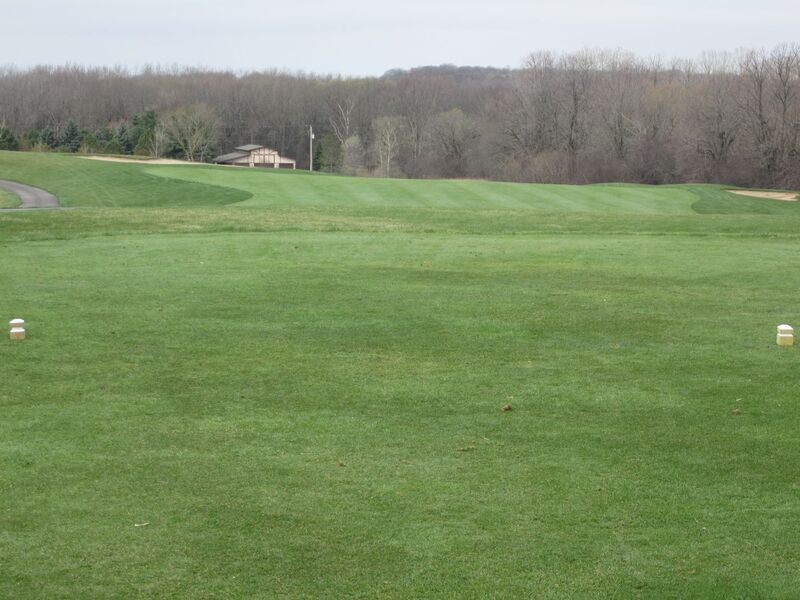 With a ton of phenomenal members-only country clubs, it is sad that the Milwaukee area does not have more true premium level courses for golf enthusiasts, but Fire Ridge is one of them. I put this course on the same plane as The Bog and Morningstar, but none of them are within fifteen minutes of downtown. I would love to see another premiere course or two come to the area, but have no idea where it would fit in on the map. 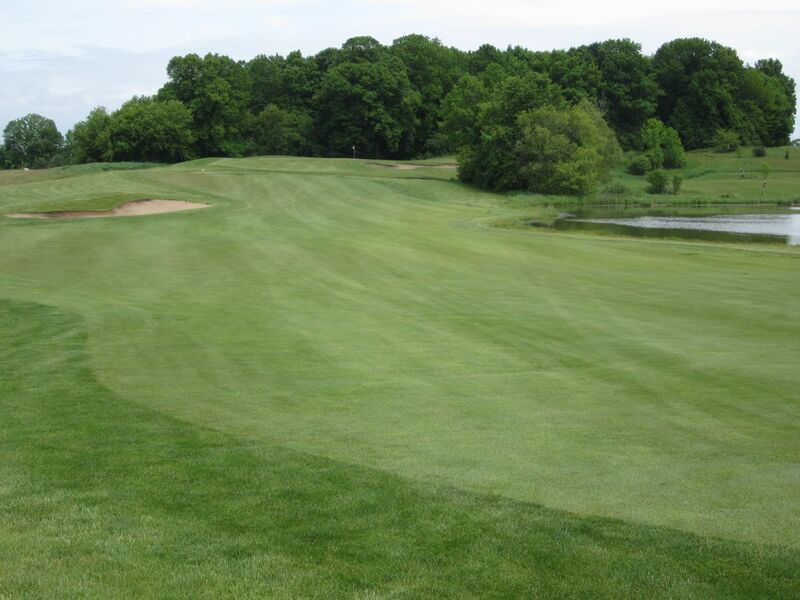 I think we can all consider ourselves lucky that the Country Club of Wisconsin went public, and opened up a wonderful course and layout to be played for daily fees.